Ever Wonder What America’s Favorite Thanksgiving Traditions Are? America is a land full of traditions. Our culture, language, music, morality are all shaped by these, and, according to LiveScience, because of the many types of people who call our land home, America has one of the most diverse collections of traditions across the globe. This applies to our many holidays as well, and while you’re sitting in the Platt Park apartments getting ready for Thanksgiving, you might be wondering what some of the most popular traditions for this world-famous holiday are. Today, we’re here to tell you. A ProFlowers poll broke down what most Americans love about Turkey Day, and we’ll be diving into those results to look at them with a bit more detail. Let’s take a closer look at those, shall we? While it holds the smallest slice of this particular Thanksgiving Pie, volunteering is still a big deal around the holidays. Thanksgiving, tradition teaches us, is a day to be grateful for what we have and return the kindness by giving back to others. For many families and individuals across the nation, Thanksgiving is a difficult day to endure — some go without food, others without homes — and it’s a natural reaction to want to help those in need by handing out meals, lending a hand at soup kitchens and homeless shelters, etc. 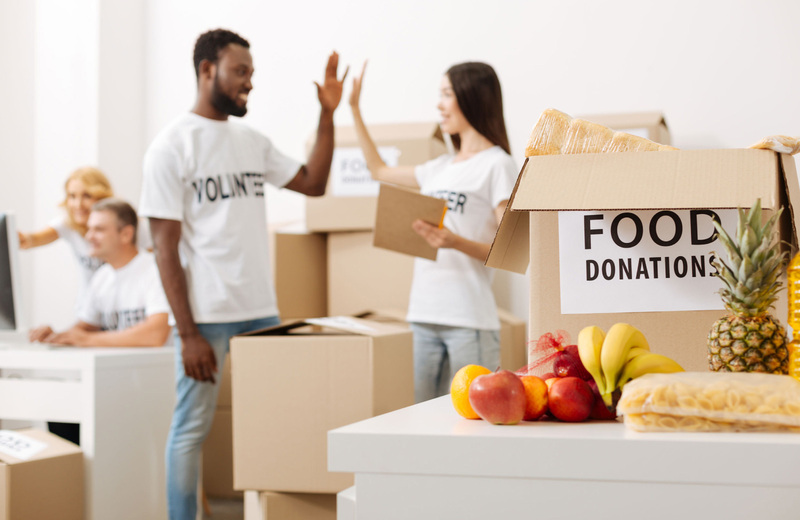 So, instead of rushing out to volunteer during the holidays, your efforts might be better spent donating to charity, or, if you really want to get hands-on, make it a commitment that you engage in throughout the year instead of just on one specific day. Now, onto football. The NFL has a long history of holding games on Thanksgiving day (ever since the 1920s), and Americans have long tuned in to watch the action. Generally speaking, it’s a thrilling show, with riveting action on-screen and plenty of family members in your abode cheering on one team or another. Add a bit of Thanksgiving turkey and some alcohol to the equation, and you can imagine things get quite raucous! It’s all in good fun, though, and while you’re enjoying the games (and the company of friends and family) keep some of these Turkey Day football stats in mind so you can rattle a few off and sound well-informed on the history of the game. Since then, the parade has been an annual hit, and has been televised nationally (on NBC) since 1952 (3.5 million spectators crowd the streets, and more than 50 million watch along at home). This year, the World’s Largest Parade will be held, as usual on Thanksgiving Day (November 22nd), and feature marching bands, balloons, and floats galore, along with clowns, performers, and presenters Savannah Guthrie, Hoda Kotb, and Al Roker. You can learn more by visiting the official parade website. Black Friday shopping technically happens the day after Thanksgiving, but it’s part of the Thanksgiving tradition all the same. If you judge by media coverage alone, you might think it a chaotic event, where shoppers battle over discounted goods and stampede one another entering and exiting stores, but behind the overhyped mayhem, there are a few statistics that underscore the magnitude of this particular day. The Balance, for instance, reports that the average shopper spends about $1,007.24 each on Black Friday, with $637.67 going to gifts, $215.04 on food/decorations/flowers/greeting cards, and $154.53 on special deals and promotions. Looking at year-by-year statistics, the total amount spent on Black Friday continues to increase, with 2018 spending now projected at $717.5 billion. The conclusion? Shopping is itself a popular American tradition — for good or ill — and that shows little sign of slowing down anytime soon. And now you know. Be sure to show a bit of thanks to the ancient Romans as you snap apart that wishbone in hopes of greater fortunes to come. While you’re setting up your superbly spacious residence at The Henry for Thanksgiving, why not give a nod to what your fellow Americans hold near and dear, and incorporate a few of those popular traditions into your own routine (if you haven’t done so already). Thanksgiving is always a treat here, and if you aren’t already calling this amazing community home, be sure to check out our availability. We’re leasing, and there’s room for you if you want to enjoy the best of what Denver has to offer.